During the 8 April Sunday news programme, Marr concluded a discussion of the Syrian regime’s chemical weapons attack on civilians by saying: "And the Middle East is aflame again. ‘I mean there’s lots of Palestinian kids being killed further south as well by Israeli forces." It seems that Andrew Marr had failed to grasp that Britain is no longer a free space. Thoughts, ideas, associations and the like cannot be shared or explored in the open unless approved by one specific foreign lobby. Last Saturday the Health Ministry in Gaza unveiled detailed official statistics on Palestinians killed and wounded by Israeli soldiers' gunfire since the start of rallies and protests in the Gaza Strip on March 30. According to the report, 131 Palestinians were killed, 14,811 were wounded, including 7,975 treated in hospitals. 54 had to have either their upper or lower limbs amputated. By 8 April, Marr, like many other journalists and commentators, saw it coming: “the Middle East is aflame again-lots of Palestinian kids being killed’ was an insightful warning. One would expect the BBC to be sophisticated enough to point out that in hindsight, Marr was proved both astute and correct. The events Marr observed did result in disastrous bloodshed. 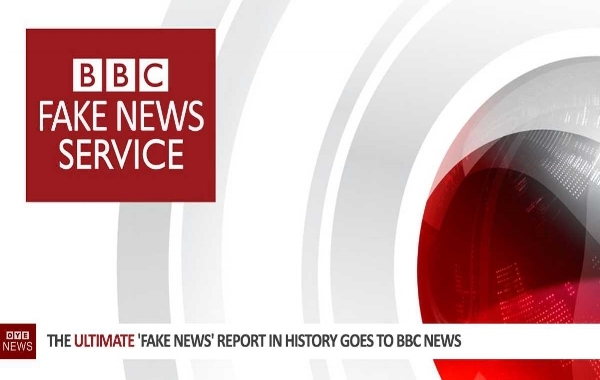 BBC producers initially tried to defend Marr’s comments by pointing out that five ‘younger people’ had been killed between the beginning of the year and the date of the programme. They also said several Palestinian children and younger people were killed in the week following the broadcast, but Mr Sacerdoti, didn’t give up on his complaint, arguing that later events could not be used to justify Mr Marr’s comments.